Arkaos GrandVJ XT is an “extended” version of GrandVJ 2 which adds expert features such as the Video Mapper extension, allowing projection mapping and advanced management of multiple displays. 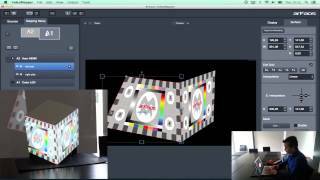 Projection Mapping Central is your community resource for all things related to projection mapping (video mapping). If you are an artist, programmer, advertiser or event organizer, welcome. All content copyright of the respective owners.